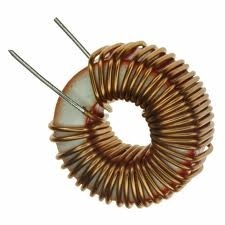 Toroidal inductors and transformers are electronic components, typically consisting of a circular ring-shaped magnetic core of iron powder, ferrite, or other material around which wire is coiled to make an inductor. Toroidal coils are used in a broad range of applications, such as high-frequency coils and transformers. Toroidal inductors can have higher Q factors and higher inductance than similarly constructed solenoid coils. This is due largely to the smaller number of turns required when the core provides a closed magnetic path. The magnetic flux in a high permeability toroid is largely confined to the core; the confinement reduces the energy that can be absorbed by nearby objects, so toroidal cores offer some self-shielding. Common Mode Chokes are used when many electrical devices may be connected to the same power lines (or power supply lines) and therefore substantial electrical noise can exist on these lines. Line filters prevent excessive noise from being conducted between electronic equipment and the AC line. Noise is typically common to both lines and in the same direction. Common mode chokes are designed so that common mode current creates a magnetic flux (through mutual inductance) that adds to attenuate the CM noise signal. The normal (differential) mode currents create magnetic flux that ideally cancel each other out so the normal signal frequencies are not attenuated. Any inductance encountered by the differential signal is the result of imperfect coupling of the two coils. It is typical for the inductance value of a common mode choke to be specified as a minimum requirement, thus insuring the crossover frequency is not shifted too high. The frequency range of the interfering signal should be given to allow proper calculation of the attenuation of unwanted signal noise in the design. Proper wire sizing is accomplished by specifying the voltage and current levels across and passing through the common mode choke. Toroid style common mode chokes are designed to provide the highest common mode impedance over the widest frequency range. These parts are ideal for any application requiring a high DC current bias and are well suited for use in switch-mode power supplies. Common mode chokes are most effective in filtering supply and return conductors with in-phase signals of equal amplitude. 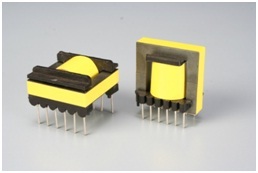 Differential mode inductors are available for filtering out-of-phase or uneven amplitude signals. A Toroidal inductor is an inductor that is designed on a doughnut shaped core. Toroidal inductors offer small size, less leakage inductance and lower electromagnetic interference (EMI). Core material is selected for the known operating frequency or frequencies. Other Toroidal inductor design considerations are space limitations and mounting technique. 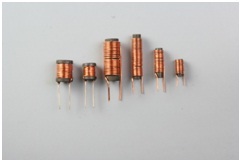 Lead terminations are also specified through the design of a Toroidal inductor. A pulse transformer is a transformer that is optimized for transmitting rectangular electrical pulses--that is, pulses with fast rise and fall times and a relatively constant amplitude. Pulse transformer designs vary widely in terms of power rating, inductance, voltage level (low to high), operating frequency, size, impedance, bandwidth (frequency response), winding capacitance, and other parameters. Designers try to minimize parasitic elements such as leakage inductance and winding capacitance by using winding configurations which optimize the coupling between the windings.